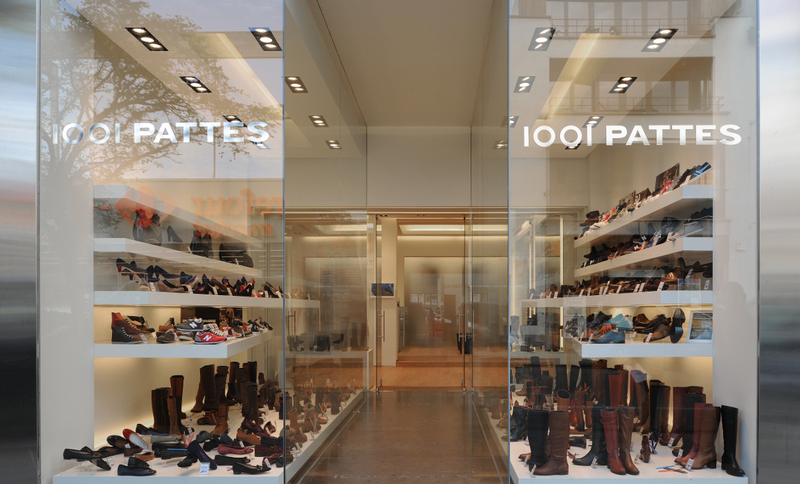 The 1001 Pattes company is selling shoes for women and men. 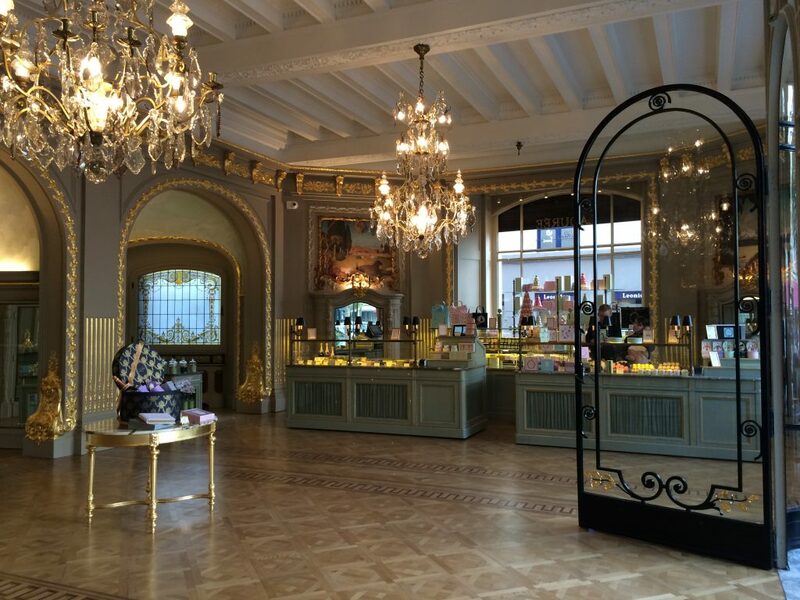 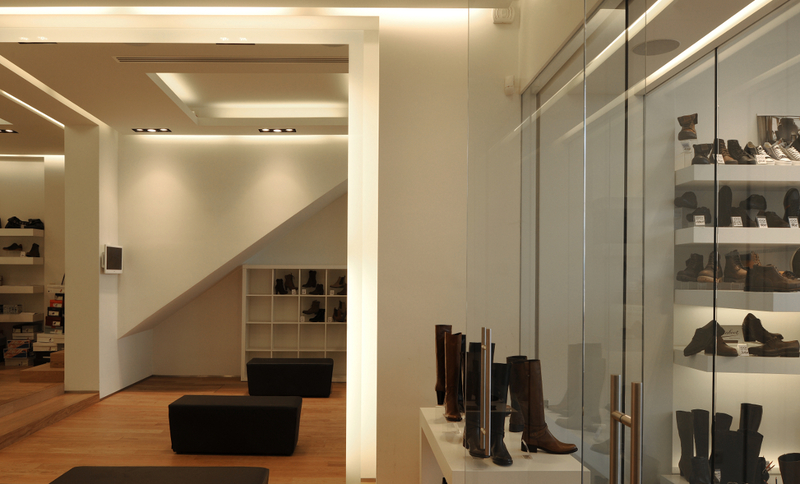 The new shop is located chaussée de Boondael close to the Ixelles Cemetery in the University area. 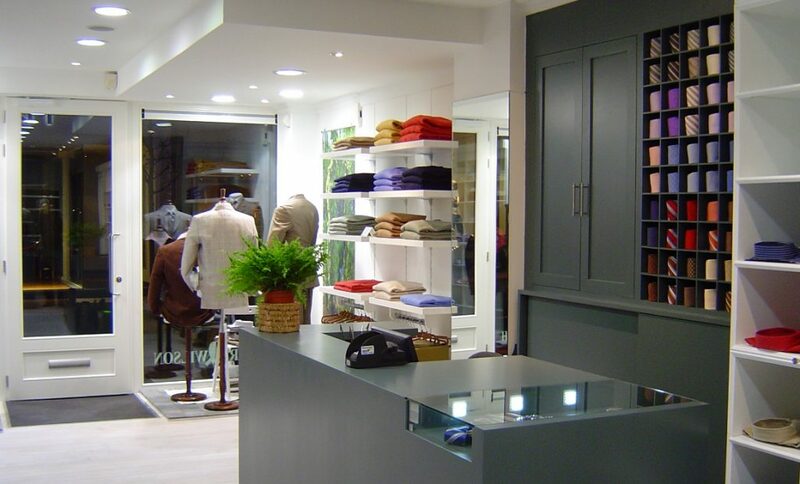 The shop is designed with minimalist issues. 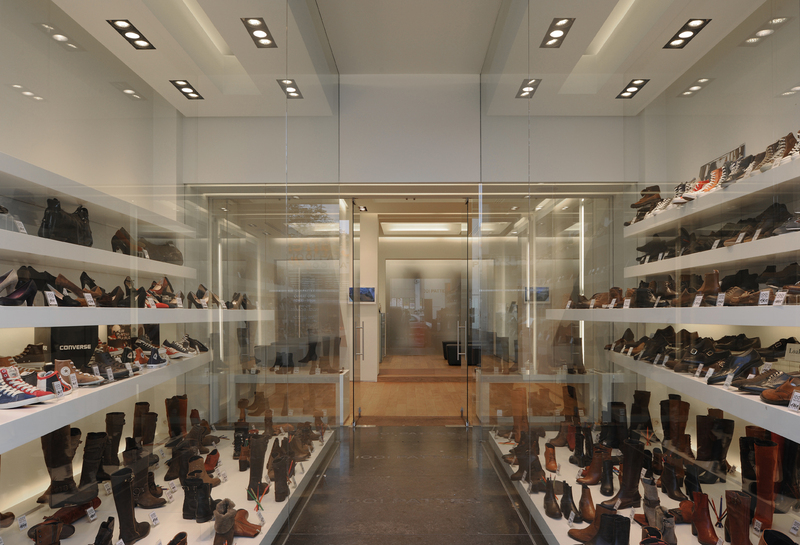 A large glazed shop windows placed on each side of an entrance allows showing all the shoes to the visitor from the street. 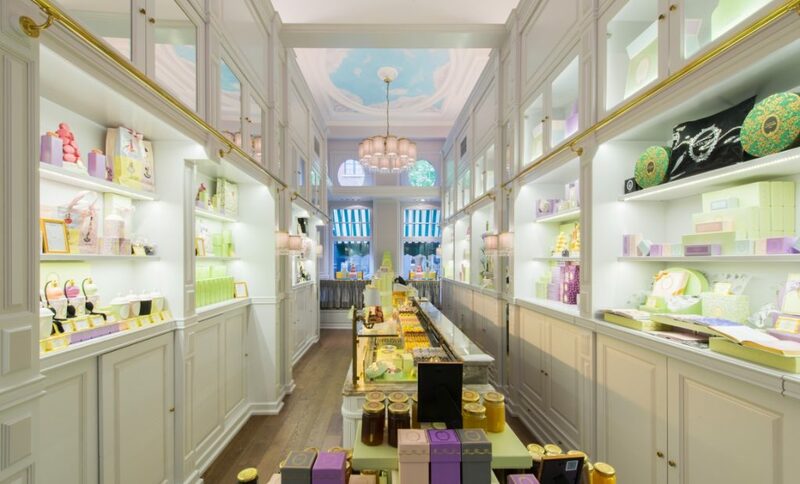 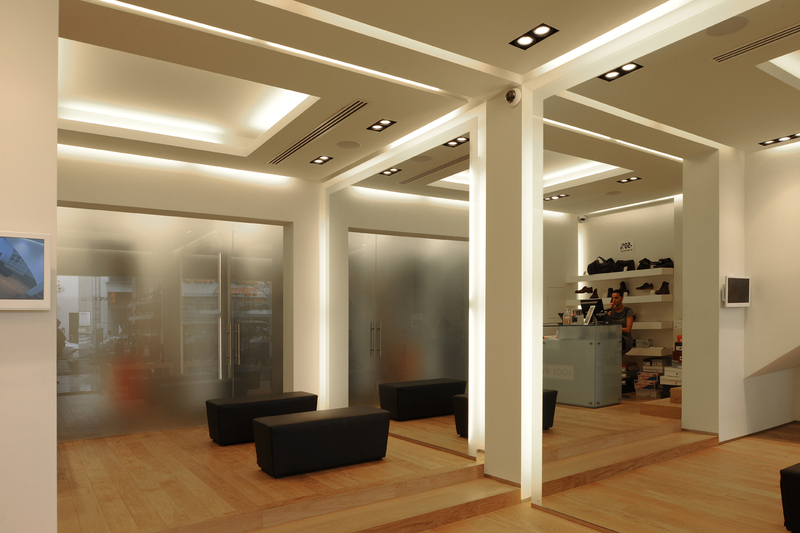 The interior design of the retail is based with a good artificial light with large mirrors on the sides.